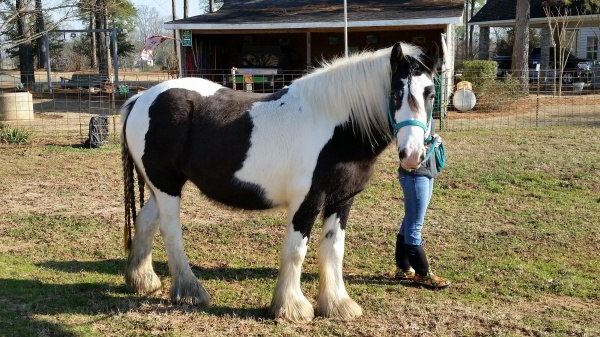 Once in a Blue Moon (Baby) was my first Gypsy Vanner Horse and I really spoiled her and she spoiled me. She still loves to lay her head on my shoulder and roll her beautiful brown eyes at me. This makes my heart melt. She rides great also. Baby is very calm and loves people. Baby’s lineage includes The Gypsy King, Papuza, Laddie and Son of the Black Horse that broke his back We are very proud of her.